Whether you are shipping your car to or from Pennsylvania, Best Price Auto Shipping is your online source for getting the BEST PRICE on shipping your vehicle. Fill out the short, simple, no obligation quote form to the right, then start receiving and comparing your auto transport quotes. Do you need to ship a car to or from the State of Pennsylvania? Pennsylvania is one of the most beautiful states to live or visit in the United States. Maybe your are relocating to Pennsylvania or just need to have your vehicle transported to or from here, either way at Best Price Auto Shipping we will guide you through the entire Pennsylvania auto shipping process. Whether you need to ship one car or multiple vehicles we got your covered, just simply fill out the short, simple quote form above, or call 800-691-2347 to start receiving Pennsylvania auto transport quotes. You might be interested to learn a few fun facts about the great state of Pennsylvania, for example did you know Pennsylvania is one of the original 13 colonies of the United States of America. It is approximately rectangular in shape and it extends around 350 miles (560 km) from east to west and 150 miles (240km) from north to south. In the north of Pennsylvania, Lake Erie and New York are located and to the south are Delaware and Maryland. It was founded by William Penn as a refuge for his fellow Quakers. Pennsylvania is the second state after Delaware that accepted the U.S. Constitution after the revolution. The official date of statehood of Pennsylvania is 12th December 1787. Pennsylvania has the nickname; “The Keystone State” which, according to many historians is both due to its geographical location and political importance in the history of the United States of America. Since a keystone is main, center wedge of an architectural arch and the location of Pennsylvania in the original 13 states resembles a keystone, that is why the state got the nickname. Additionally, Pennsylvania had a major role in holding the newly formed 13 states together. The state ranks 33rd in terms of area in the U.S. with an approximate area of 46,054 square miles (119,280 km2). By population, however, it is the 6th biggest state in the U.S. having an approximate population of 12,787,209, according to the estimates of July 2014. The capital of Pennsylvania is Harrisburg, which is fairly less populated compared to other big cities in the state. According to the official estimates of July 2013, the population of Harrisburg is around 49,188. Philadelphia is the biggest city by population in the state by a huge margin as compared to other cities. It has a mammoth population of approximately 1,553,165 which is about 5 times the population of Pittsburgh, the second largest city in Pennsylvania by population. Other than Pittsburgh, the major cities in the state include Allentown and Erie. According to July 2013 estimates, the populations of Pittsburgh, Allentown and Erie are 305,841, 118,577 and 100,671 respectively. Weather in Harrisburg is warm in summer and reaches around 86°F (29.8°C) and it gets quite cold in Winter with temperature getting as low as around 23°F (-4.9°C) in January. Major industries in Pennsylvania include steel, farming, textile, lumber, mining, pharmaceuticals, energy and coal. Chief exports from Pennsylvania include bituminous coal, civilian aircraft engines and parts, vaccines for human medicines, motorcycles and bicycles while major imports to the state include crude oil, cellular phones, medicine and spark ignition reciprocating engines. There are some highways in Pennsylvania which provide breathtaking scenery. Among them, Route 23 is a very beautiful state highway in the state. It starts at Marietta and then goes toward U.S. Route 1 near Lower Merion Township. It is laden with beautiful hills, meadows and vales on both sides. Route 144, also known as High Plateau is a Scenic Byway in Pennsylvania between Snow Shoe and Renovo. Route 6 is another splendid highway in Pennsylvania, which starts near Pymatuning Reservoir near Delaware River into Port Jervis, New York. I-76 is a major highway in Pennsylvania which starts near Akron, Ohio and ends in Gloucester City, New Jersey. Other renowned highways in Pennsylvania include I-79, I-80 and I-81 (American Legion Memorial Highway). Pennsylvania is among the states having higher gasoline prices compared to the other states. Currently, the average price of gasoline stands around $2.81 per gallon. 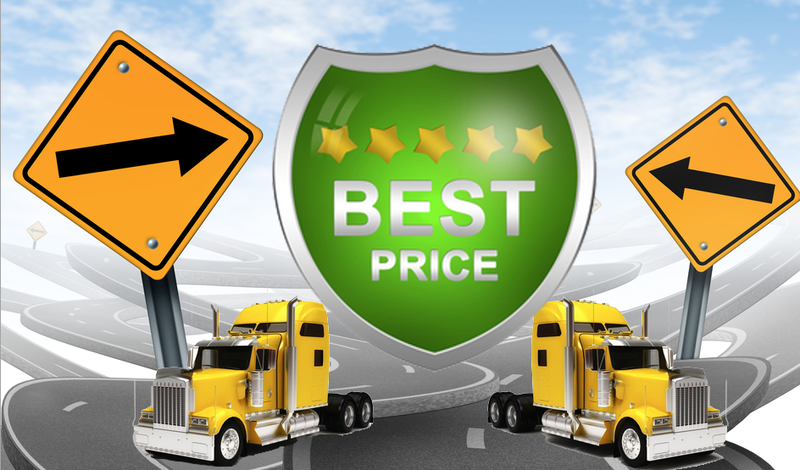 So whether you are shipping a car to Pennsylvania or from Pennsylvania, Best Price Auto Shipping has you covered.